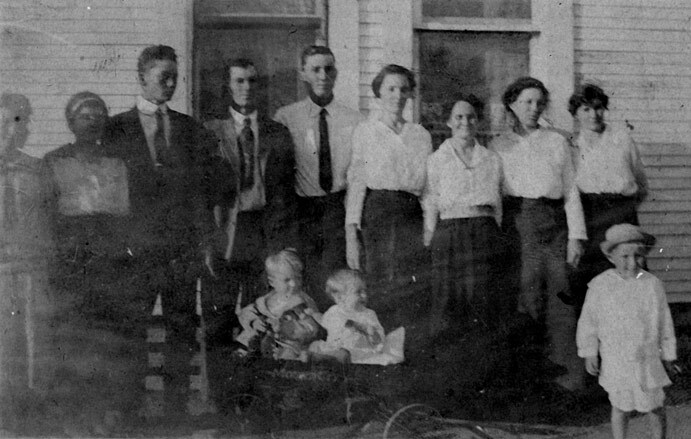 Front L-R: Nick , Cordie, and Pernia Gailey; Second L-R: Nora Gailey Jackson (Sitting holding Ernest), Great Aunt Margaret Goens (older lady sister of Mary Bigham Gailey's father), Mary Ann Ada Bigham Gailey (sitting holding Eva Eula); Third L-R: Willie Jackon, Letha Gailey, Unknown Female, Jessie Johnson (Cousin og Mary Bigham Gailey), Mary Jane Gailey; Back L-R:Luther Elmer Gailey, John William ("JW") Gailey, Loddy Gailey. 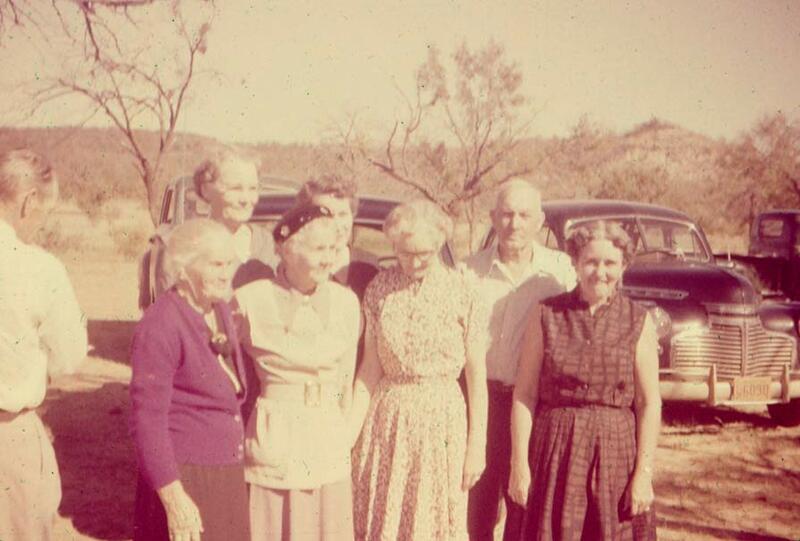 Note: Pearl and Annie were labled in the photos but they resemble Nora and Pernia and one or both may be. 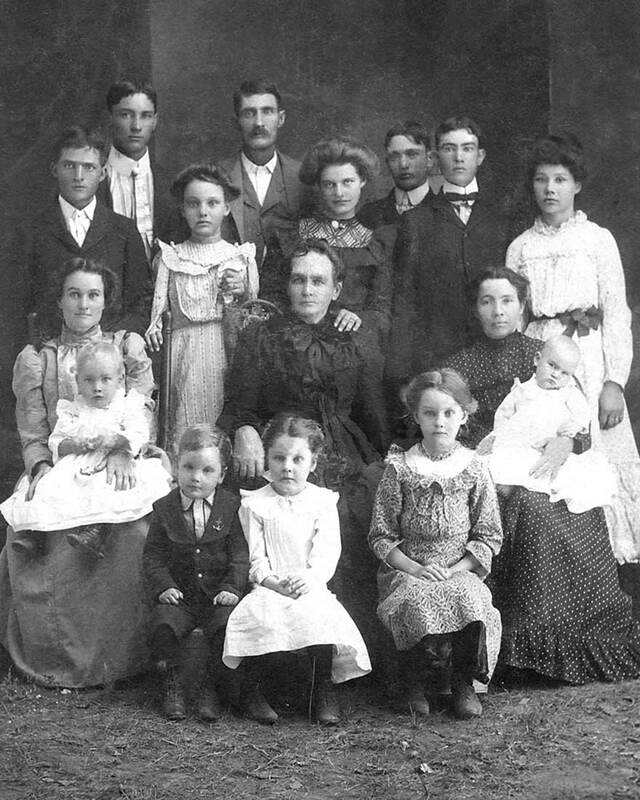 JW Gailey's Children: Left to right standing: Eva, Cordie, Nicholas, Loddy, Luther, Letha, Nora, Mary, and Pernia. 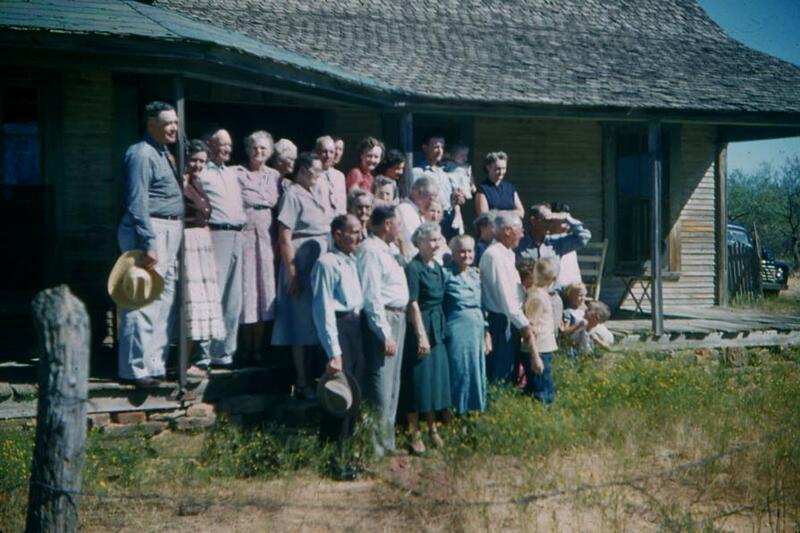 Seated in wagon are JW Jr and Asa Lee Gailey. 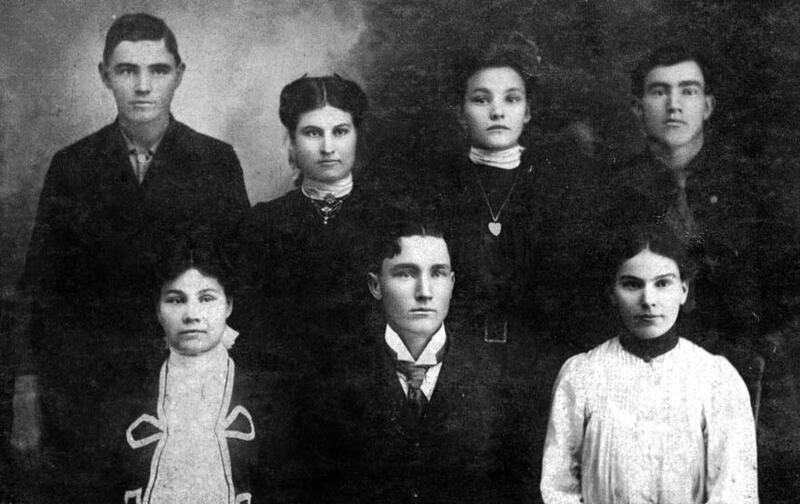 Also pictured standing on bottom right is Celeston Jackson. 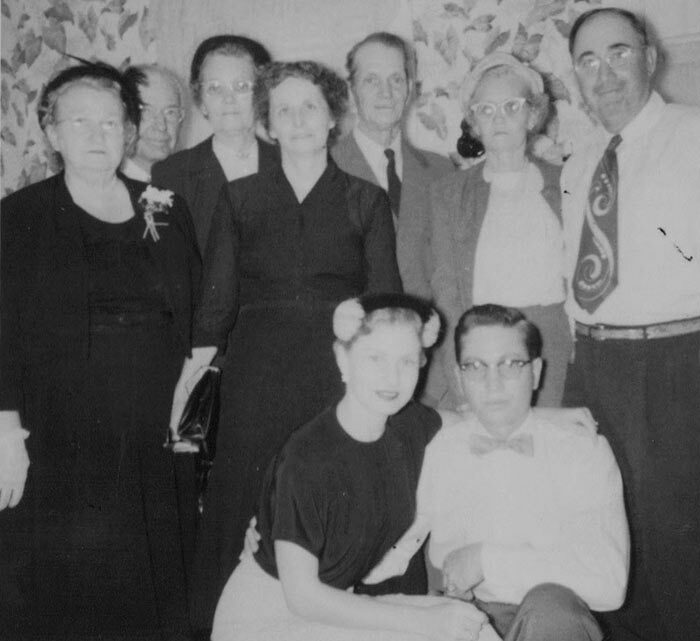 This photo includes on the back and middle rows left to right: Willie and Nora Jackson (Holding Chrystal),Loddy Gailey, Letha Gailey, C.F. Jones, and Luther and Ocite Gailey. 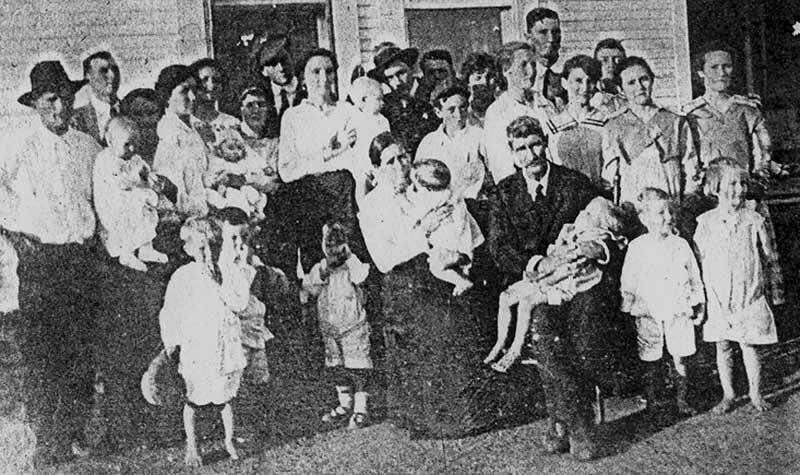 Front Row: Leora Moore Gailey (sitting holding Asa Lee Gailey) and John William ("JW") Gailey (sitting holding JW Gailey Jr), and Elmer and Audie Gailey. 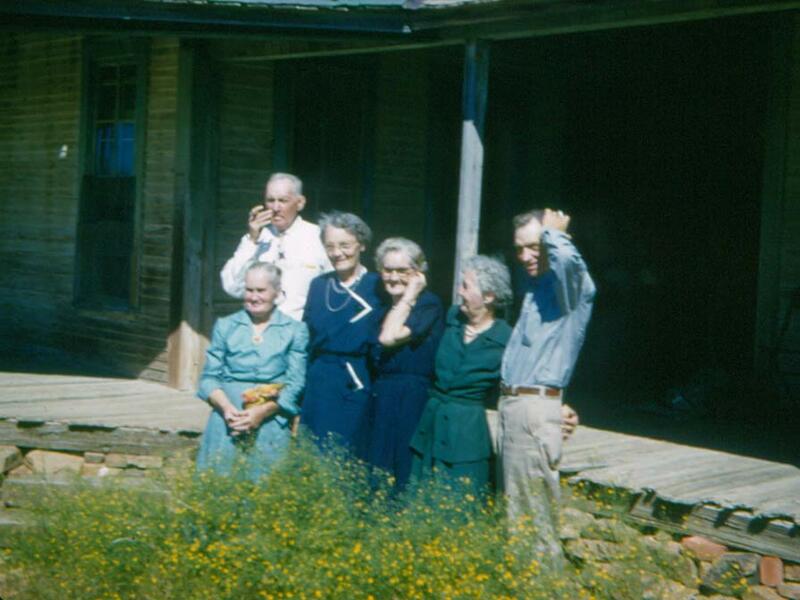 Family Group on Tudor Road when Elmer Gailey left for WWII.